In the Government of Canada’s 2010 budget, there was a commitment to exploring alternative methods of delivering forensic services. A request for proposal entitled “A Feasibility and Sustainability Model for Forensic Services Delivery in Canada” was subsequently posted in the fall of 2010. This contract has since been awarded and the results of the report are expected in the spring of 2012. The theme of the Canadian Society of Forensic Science 2012 conference “Forensics: Public, Private or Partnership”, also seeks to explore the options for forensic service delivery by engaging speakers from various public and private forensic laboratories in the UK, USA and Canada. CSFS members and non-members are invited to register and attend all workshops. For more information about the conference and to register, visit the website or contact CSFS2012@csfs.ca. As you are well aware, the Integrated Riot Investigation Team of 60+ police officers, analysts and civilian members have been working hard at holding rioters accountable for their part on June 15th. To date, we have recommended 350 criminal charges against 125 rioters, and there are many more still to come. With a lot of work ahead of us, we are asking for your help in forwarding this information to your family, friends and co-workers. I recently uploaded our Spring/Summer term 2012 course schedule to our website, so you can use it to plan your course load for April-August 2012. Overview: Responsible for the specialized work of researching and disseminating information related to criminal activity to support administrative and operational staff in the planning and deployment of resources. The 2012 International Conference on Sexual Assault, Domestic Violence and Stalking, presented by EVAW International, will be taking place April 2 to 4, 2012 in San Diego, California. Join fellow law enforcement personnel, prosecutors, victim advocates, judges, parole and probation officers, medical personnel, faith community members, educators and others in this three day conference highlighting promising practices and emerging issues in sexual assault, domestic violence and stalking. For more information about this event, visit the EVAW website. Much of what we do in forensic investigation is to pursue the psychology behind acts, commissions, omissions and behavior. People working in health care can change their thinking and attitudes over time and this makes motivation an intriguing–and often times, puzzling aspect. A person may be a responsible, ethical practitioner one day but then something changes; some event in their life shifts their perception and then they lose their perspective and judgment. Other health care professionals simply do not grasp that they don’t have the requisite skills to practice safely. Also very interesting are the times when institutions and agencies either lack proper direction for their employees or have policies and guidelines that frustrate health care professionals. This can lead to improper patient care. 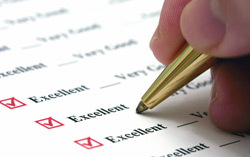 When this happens, professional colleges send inspectors to examine what has gone wrong. 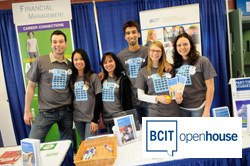 BCIT’s Open House is fast approaching, and our fine institute is looking for students to volunteer at this event. 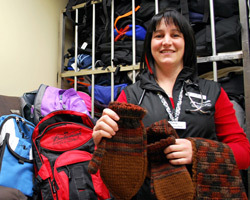 This is BCIT’s largest event, with expected attendance to exceed 20,000 people April 13 and 14, 2012. For more information about Open House, please visit the website. 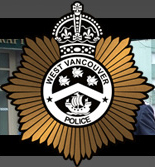 To volunteer, contact Sepehr Vafadary, Student Leader for Volunteers, by email or by phone at 604.456.1090. Just wanted to wish everyone reading this blog a merry Christmas and happy holidays. Things will be quiet here for the next two weeks until I’m back in the office in January. I’ll be sharing some more exciting job opportunities and news from our programs when I return in the new year. The BCIT Commercialization Assistance Program and the School of Business invites students to attend the upcoming workshop series designed to help skilled individuals improve innovation success rates. This workshop series will cover a range of topics to provide students with business planning skills and tools that will help support entrepreneurship and innovation.